Watch for a brief overview of the Continuum Optical Stabilizer filter. 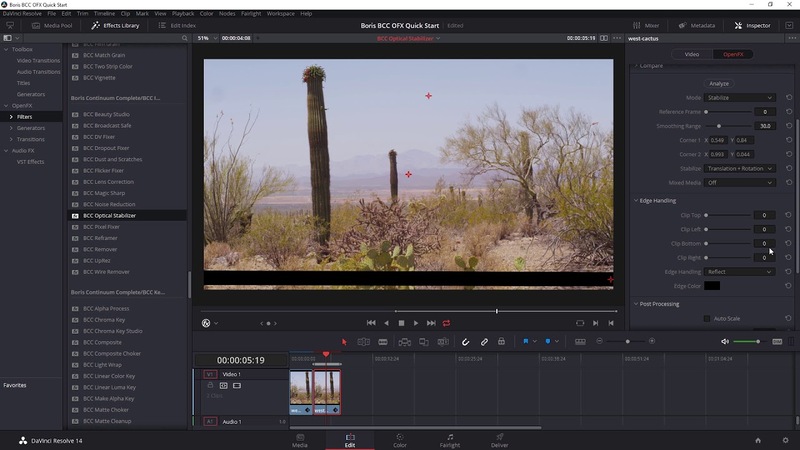 In this video, you’ll see the filter at work inside Blackmagic Davinci Resolve. See the Continuum Optical Stabilizer filter inside Adobe AE, Adobe Premiere, or Avid Media Composer.